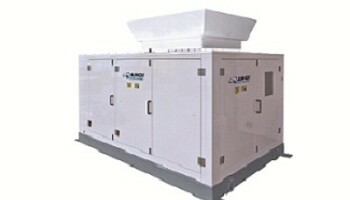 For sale never been used, brand new ANGI NG300E Compressor sold as Used CNG Compressor. This unit has been sitting in a warehouse to be installed in a field for 3 years+. Because of that fact we will be featuring this brand new compressor with “0” hours as a used CNG Compressor. There will be no manufacture warranty provided on this unit. This used CNG Compressor is sold AS IS. For additional $8000 the unit can be shipped back to the manufacture, retested, and certified to be in perfectly working order at the ANGI factory. This unit was purchased by a major oil company some 3 years ago and have never left their warehouse. It is a brand new, in a crate, unit that did not get a chance to get used in any way. The retail price for this unit is $230,000. Unlike many other compressors this brand new compressor available for purchase and delivery right away with no 12-20 weeks waiting period.